This is An antiperspirant spray used to reduces the chances of bad odour and uneasiness due to excessive sweating. 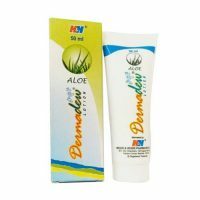 The product contains Aluminium Chlorohydrate.It is used to keep the skin dry. Keep dry Spray is an anti-perspirants. Keepdry Spray contains Aluminium Chlorohydrate which significantly dries the underarm area and reduces the amount of sweat and moisture. The spray also reduces the chances of bad odour and uneasiness due to excessive sweating. Start with one application every night and once the perspiration is controlled, reduce to twice a week or less. La Pristine Bioceuticals Pvt. Ltd.